I was so excited to finally meet Indie and her partner Rebecca at an event this week. On this Throwback Thursday, here’s her story from years ago. She is rocking the world even more now. Arthritis side-lined her from her passion of gardening, but figuring out what to do with all of her lavender and calendula plants lead Indie Lee to a big venture. It was 2008 and her sister was pregnant. Indie decided to create some baby beauty products using the plants from her garden to give as a gift to her sister at a baby shower. 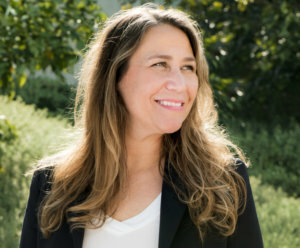 Indie believed that an upscale line of organic products for moms and babies would sell and began offering her products on line in 2009. 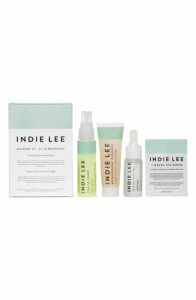 Starting a blog along with her site, she needed to share what she had learned about the beauty industry; Indie was diligent with her research. 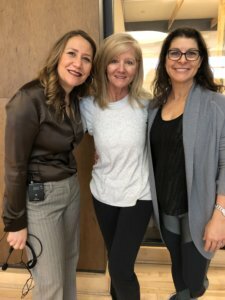 “I was all in, reading every book on the subject and spending hours in my basement lab with extracts and lotions, perfecting my products.” She created the Botanical Collection in 2010 and began initially selling at local boutiques and outdoor markets. The brand was gathering recognition. 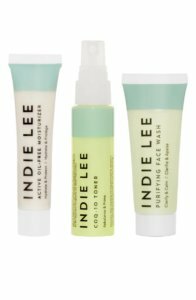 Through her blog, Indie became an advocate for organic beauty and is asked to speak about her mission. “I’m creating awareness. 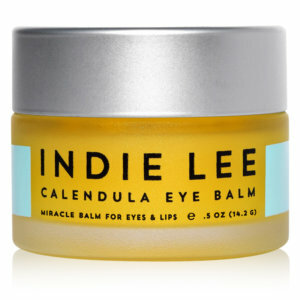 I figured out my passion and I know I can create change.” Now Indie Lee beauty products can be found around the world. Use your basement to start your business.